T.U.F & The Early Show ATL have teamed up again to bring you the Annual #ULTRACHRISTMAS #TOYDRIVE! Between 9 pm - 12 am, there will be live performances hosted by Fort Knox & DJ Antstrumentalz and there will be a raffle for a free gift giveaway. $5/Toy Donation to enter. Toys will be going towards the Atlanta Children’s Shelter & hurricane victims in Houston & Florida. Make an appointment to take your, your family, or your pet's picture with Santa right in the village! Santa's Saturday and Sunday mornings are looking pretty busy, but there are plenty of afternoon appointments available! Email us at eavsanta@gmail.com to book yours. Everyone come out to the OFFICIAL EAV Tree Lighting! Ring in the holiday season with friends and neighbors. Santa arrives by the traditional pick up truck to light the tree at 6 pm. Screenfixing.com will be playing holiday favorites and bringing the snow. The Boy and Girl Scouts will be serving Hot Coco. Hope to see everyone there! We will be decorating the tree around noon and putting it up on the wall 1-1:30 pm. Come on up and help decorate or just hang out with your neighbors. We will also need a few strong people to get the tree on the wall. Let me know if you can help nlhenn@bellsouth.net. Come ring in the holiday season at the East Atlanta Village Farmers Market! We'll be a decorating a community tree courtesy of King of Pops Tree Elves. Bring your own ornaments or make ornaments and garlands and string up lights with us! King of Pops - Popsicle ornament craft workshop with the Tree Elves. Tree Lighting at 7:00 pm! The inaugural menorah lighting will be at 5:30 pm. More details to come - stay tuned! 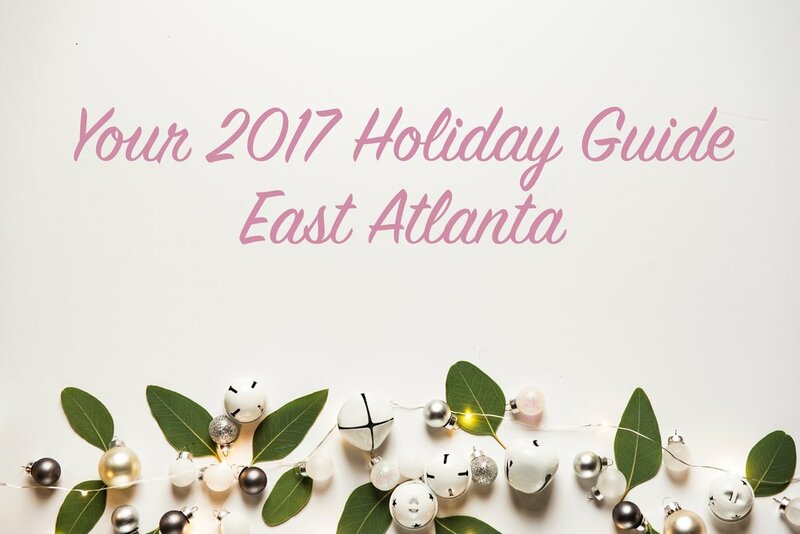 At 7 pm, please join your East Atlanta neighbors for EACA's annual year-end holiday potluck. This year we will be coming together on the Argosy patio to elect our 2018 officers, look back on 2017 and spend some time celebrating our community. EACA will provide the main course and nonalcoholic drinks with other beverages available for purchase from Argosy. Please bring a side or dessert, and we look forward to sharing the evening with you. Decorate sugar cookies with frosting and sprinkles. RESERVATIONS REQUIRED. Email Meredith at meredith.latta@fultoncountyga.gov to reserve your spot. Limited to 20 participants, so sign up today! For ages 8 and up. ...and more to come! Check back soon for more details about events near you. Have something to add? Contact us at communications (at) eaca (dot) net. Thank you!